Delaware Attorney: Scott R. Mondell | Elzufon Austin & Mondell, P.A. Scott R. Mondell is a Director in the firm and Chairman of the Workers’ Compensation Defense Department. He was admitted to practice in Pennsylvania in 1985, and Delaware in 1988. Scott is a graduate of the University of Delaware (B.S., 1982) and The Delaware Law School of Widener University (J.D., 1985). 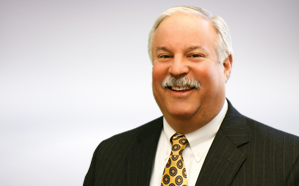 He is co-chair of the Industrial Accident Board’s Rules Committee and a member of the Delaware State Bar Association’s Workers’ Compensation Section where he previously served as President and chair of the Case Law Update Committee. Scott is a member of the Philadelphia Workers’ Compensation Claims Association and frequently lectures on the topic of workers’ compensation. Pennsylvania, Delaware and American Bar Associations; Industrial Accident Board’s Rules Committee (member 2003-present; co-chair 2005-present); Chairman, Recent Caselaw Update Committee (1995-1998), and President (2005 & 2006 ) of the Delaware Bar Association’s Workers’ Compensation Section; Delaware Claims Association (Program Director, 1993-1999); Delaware State Bar Association’s Nominating Committee (2006- ); Concord Township Planning Commission (2000-2005); the Randy J. Holland Delaware Workers’ Compensation Inn of Court. Voted one of Delaware’s Best Workers’ Compensation Defense Attorneys in a peer conducted poll by Delaware Today Magazine, October 2001 & November 2016. Frequent lecturer on Delaware Workers’ Compensation law for various groups including the Delaware State Bar Association, Industrial Accident Board, Department of Labor Division of Industrial Affairs, Insurance Society of Philadelphia, Delaware Claims Association and Delaware Society of Occupational Nurses.